Calling all peanut butter lovers! 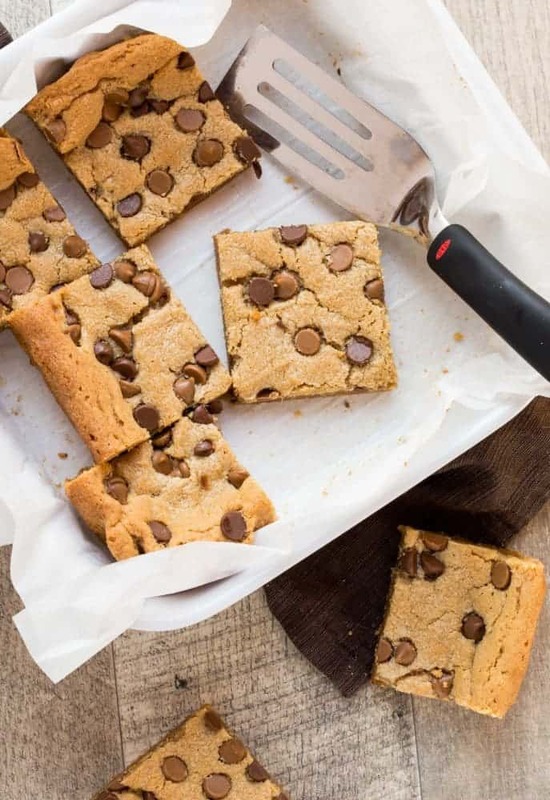 These Chewy Peanut Butter Brownies are a perfect way to get your peanut butter fix. Chewy Peanut Butter Brownies. Do I need to say more? This little nugget is pretty much perfect in every way. Crisp on the edges, chewy in the middle and filled with all the peanut butter flavor you crave. And the best thing? You only need one bowl and a spoon to make them. Which is good considering the number of times I have made them recently. The key to this recipe? Softened butter. Be sure your butter is at room temperature (but not melted) before you start. Don’t worry if you don’t have the patience to wait for your butter to soften or you forgot to set the butter out. You can still make these now. Simply set your cold butter on a plate. Fill a glass with hot water and let it sit until the glass is warm. Pour the water out and invert the glass over the cold butter. Wait for a minute or two and voila! Softened butter in no time. Another tip: When you are mixing the batter, don’t bother with the hand mixer. Just use a wooden spoon or even a fork to combine the butter and peanut butter until smooth. The chewy factor is upped big time by not making the butter light and fluffy. Plus clean up is easier. Win-win. The end result? My new go-to brownie that’s great for any occasion. Every bite filled with chewy peanut butter deliciousness. That, my friends, is as good as it gets. Have you seen these Peanut Butter and Milk Chocolate Chips at your grocery store? They give a hint of chocolate flavor without overpowering the peanut butter! Preheat oven to 350 degrees and line a 8x8 pan with parchment paper. Set aside. Place butter and peanut butter in a large bowl and stir until smooth. Add sugars and stir until combined. Add eggs and stir until incorporated. Stir in vanilla. Add flour, baking powder and salt and stir until just combined. Do not overmix. Place peanut butter batter in prepared pan and spread evenly. 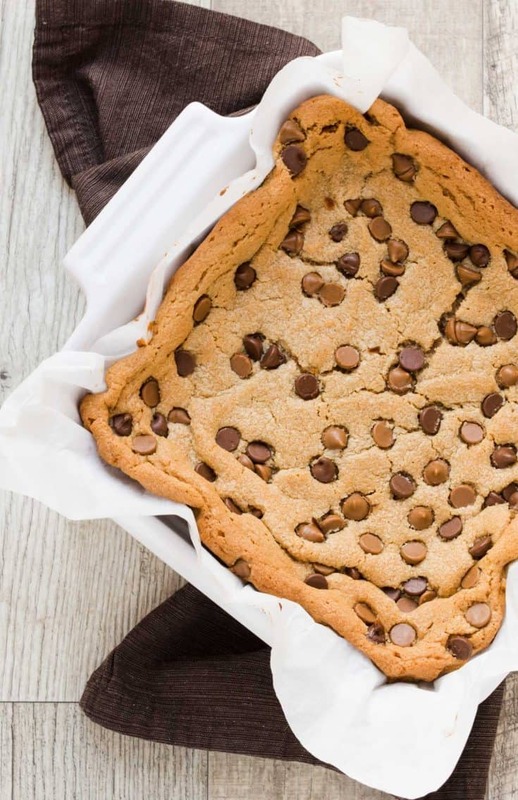 (Batter will be thick) Sprinkle peanut butter and milk chocolate chips on top of batter. Bake for 30-35 minutes or until brownies are set. these were SO SO GOOD. I made this two times in a row! Lovely! I made them with Banana Flour as well and they turned out just as good with the slight banana flour taste. Also, do you know how many calories would be in one ? I’m glad you love them as much as I do. What a fun twist with the banana flour! We don’t do nutritional values on our site but I know there are calculators on the internet that will figure it out for you!